It can be hard to bird watch in a city. It can be even harder for them to know where to find enough food to last the cold days of winter. Fitting an effective bird feeder is one way to mutually benefit all concerned. 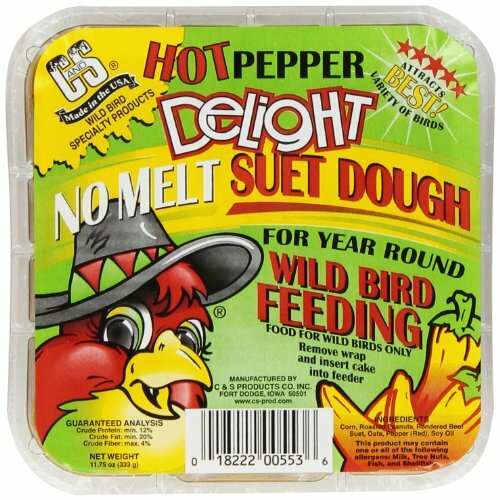 Those wishing to attract a little wildlife into their world are guaranteed many avian visitors; while the birds themselves can use your supplies to survive until spring. While looking for a bird feeder to do just this, I encountered something which gave me pause. Amazon's best-selling item - from its whole Pets Supplies category - is precisely that. And here it is. It's fine for those in the countryside, an array of birds flock to their doorstep at any given time. A little more effort is required for bird watchers in the city. As the dark days of winter deepen, it's growing ever more icy outside my window. No-one ventures out without coat and scarf, hurrying towards the next source of warmth. Those long summer days seem so far away, yet I'm day-dreaming about them still. I recall camping in the middle of nowhere, sitting outside my tent and watching the natural world play out its minute dramas all around me. There were brave birds then, ones I couldn't even name in their beautiful unfamiliarity, which swooped down from tree-tops to raid my picnic stores. I waited, watching unseen, until those bold, feathered souls had taken their fill. It was idyllic, quite wonderful, but something which I thought could never be brought home. Until it occurred to me to just fix a bird feeder to my urban window pane. If you had asked me an hour ago to guess the best-selling Pet Supplies item on Amazon, I'd have got it wrong. I'd have assumed that it was something to do with dogs or cats. The internet likes dogs and cats. I'd navigated to the animal section with a view to finding a bird feeder. You can imagine my surprise to find that one was right there, at the top of the home page. 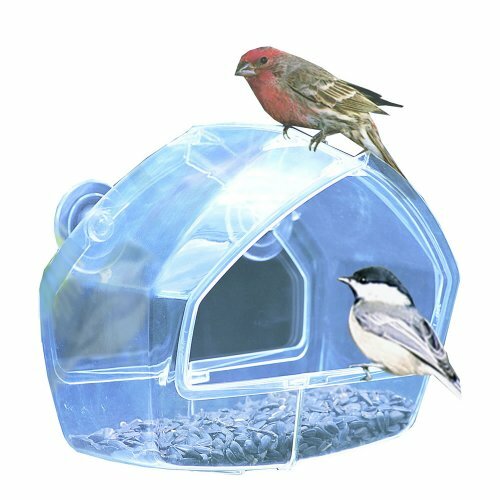 Birdscapes Clear Window Feeder holds pole position as THE most popular animal related product on the site. And here's me thinking it was going to be the cat's inflatable unicorn horn. So what's all the fuss about then? Birdscapes window bird feeder does the job without breaking the bank. Naturally, its elevated placement in the ranks of pet products made me wonder what was so great about it. I mean, did it whistle Dixie at the approach of rare species? Or transform itself during idle hours into a vacuum to clean your floor? As far as I can ascertain, the Birdscapes Clear Window Feeder is cheap, but very effective at what it does. 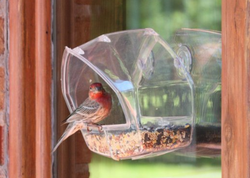 There are many more expensive window bird feeders out on the market. Those look fabulous and incorporate all many of weird and wonderful features. But at the end of the day, you just want to feed the wild birds. The Birdscapes feeder does that. It's also very sturdy. I was reading in the comments about someone who hadn't attached the suction pads correctly. (Washing the window and pads in soapy water first is great; as apparently is adding a bit of natural oil - sweat to you and I - onto the pad before sticking it to the window.) Their feeder fell three storeys onto concrete, yet wasn't even dented. There's also the fact that it's clear. Secretly watching from the other side of the window, you can observe every feathered visitor, even as they head into the feeder for some seed. It's too small for nesting. You won't be risking bird droppings over your glass or any of that stuff. They'll merely swoop on in, nick some food and fly away again to enjoy it. Just like that summer day at camp. 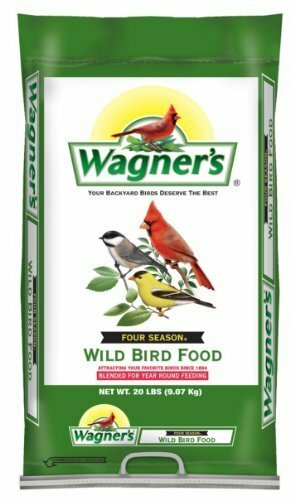 Don't Forget the Bird Seed! The trick is to match the food on offer in your feeder with the species of birds that you wish to attract. Quite obvious really, isn't it? Have you ever looked at your cat and thought, 'what this kitty needs is an inflatable unicorn horn'? Then you've come to the right place! Ah! I see. The bread crumbs in the garden thing evidently works too! It's a bird feeder I could build I suppose. But no. It's an affiliate product but I thought it looked really cool! My husband loves to feed birds. 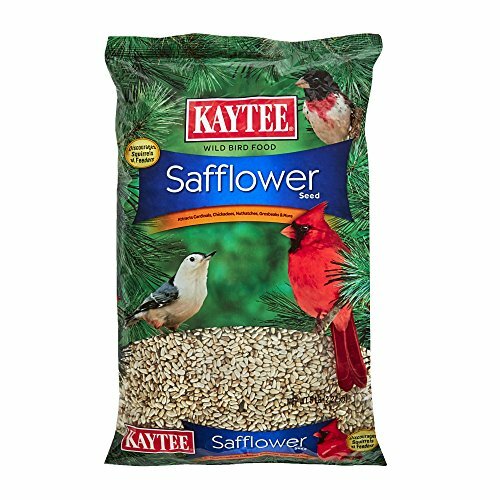 We never use seeds though. Just bread crumbs. He tosses them out in the yard and we wait quietly by our window and peek out to see the birds come and eat. cmoneyspinner - Awww! I wouldn't like to see that happening! Is yours a bird feeder that you've created or merely promoting? It's a wacky Saturday morning for me. But guess what? I'm still keeping the faith. In the Amazon comments, there were a lot of people with these on the windows of their high rise apartments. I can really see why too. Your friend's experiences says it all. These are great if, like me, you live two floors up! The birds feel safe at that height too. My friend who is disabled also has one and gets great pleasure from watching the birds very closely through her window. Abby - I was with you there. I tended to think of bird feeders as wooden boxes attached to poles or trees. WriterArtist - That sounds wonderful. Your Dad was an astute man. Dustytoes - I wonder why they couldn't see through the glass? Weird! But great for photographs and driving the cats half-insane! I used to use a similar type feeder that attached to the window and the birds can't seem to see through the glass. I could get right up close and photograph them. Also my cats did love to get nose to nose with the oblivious birds. I really need to get another one. My father used to keep water and seeds for the birds outside in the garden. It was fun watching rare and unique birds flying into our compound.